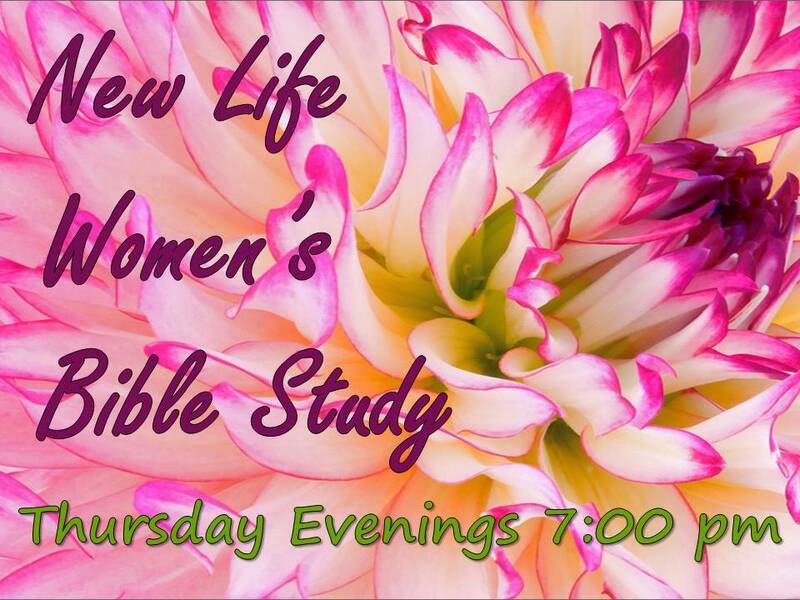 New Life Women’s Bible Study is a time for us to gather together, come to a greater knowledge, understanding, and appreciation of the love of God through the study of Scripture. We are a group of caring sisters ready to offer support and friendship. Jesus Christ desires more than anything that we come to know Him as our Lord, our Savior and our Friend. Please join us every Thursday from 7 pm – 8 pm in the Fellowship Hall as we open up His word, watch some great videos by leading women in ministry, pray, enjoy coffee, conversation, and a snack. Watch your life bloom.